Assessing a child aged under 5 years with a fever is an everyday part of primary care. It is estimated that in any year, up to 40% of children in this age group are seen by healthcare professionals because of a febrile illness.1 The vast majority of these children will have a mild self-limiting viral illness. A few children, however, will be in the early stages of a more serious bacterial infection, for example a urinary tract infection, bacterial pneumonia, or meningitis. International comparative studies show that the UK still has higher death rates for infants and children aged under 5 years than other comparable Western nations (worse than Nordic countries in in particular)3 so although the assessment of febrile children is generally good, we do need to improve. Reproduced from: NICE/NCC-WCH. Feverish illness in children: assessment and initial management in children younger than 5 years. Clinical Guideline No 47. London: RCOG; 2007, with the permission of the Royal College of Obstetricians and Gynaecologists. Early symptoms and signs of serious bacterial infection (SBI) are generally very similar to those of self-limiting viral infections. The severity of the disease process and ultimate outcome are inextricably linked to early diagnosis and appropriate management. A further factor relevant to assessing a child with a fever is the changing pattern of healthcare; the initial contact currently may not be to the child’s GP but to a telephone helpline, out-of-hours (OOH) service provider, or an accident and emergency (A&E) service (paediatric or general). The aim of 2013 NICE Clinical Guideline (CG) 160, Feverish illness in children: assessment and initial management in children younger than 5 years (updating and replacing NICE CG47 , see www.nice.org.uk/cg160)4 and now NICE Quality Standard (QS) 64 for Feverish illness in children under 5 years (published in July 2014, see www.nice.org.uk/guidance/qs64)1 is to provide a framework for assessment and help in identifying those children who are most at risk of being in the early stages of an SBI and of managing them promptly and effectively. This framework applies to any setting, the expectation being that the assessment will be equally effective in each of the assessment situations outlined in the previous paragraph. See Table 1, below, for a list of the quality statements in NICE QS64.1 The statements have been developed from the updated guideline (NICE CG160) and represent aspirational but achievable goals in the assessment and management of febrile children. The basis for and principles behind each of the quality statements are given below. NICE (2014). Feverish illness in children under 5 years. Quality Standard 64. Available at: www.nice.org.uk/guidance/QS64. Reproduced with permission. It is reassuring to know that a child who fits entirely into the green category is at very low risk of SBI as this matches subjective impressions. Similarly, it is no surprise that a child with symptoms or signs falling into the red category needs urgent specialist intervention, as this again will be the immediate subjective impression. The presence of features in the amber column should raise awareness of an increasing risk, and if two or more amber features are present, then referral to a specialist unit should be considered. Capillary refill time is increased where the circulation is compromised, for example in dehydration or other hypovolaemic states. If it is measured peripherally (e.g. in hands or feet), the findings can be affected by extraneous factors such as ambient temperature, so capillary refill time should be measured centrally and recorded as an objective indicator of circulatory status. Typical symptoms and signs of urinary tract infection (UTI) may be absent or impossible to elicit in children, particularly at a pre-verbal stage. It is important to determine whether a UTI is present if fever is unexplained so that appropriate treatment can be given and to prevent permanent renal damage from untreated infections. As detailed in NICE CG54 on UTI in children,7 urine should be collected by a clean catch technique and tested for presence of nitrites and leucocytes; if either or both are present, the specimen should be sent for microscopy and culture. how and when to seek further medical advice should there be deterioration or further concern. The traffic light table4 (see bit.ly/1toP8tX) has already been widely used in primary care and copies are readily available; the table should also be readily available in OOH centres, A&E departments, or anywhere else where acute assessments might be made. Currently, this is the standard that determines (both clinically and medico-legally) whether an appropriate assessment has been performed, so its use should become universal. Temperature, heart rate, respiratory rate, and capillary refill time should each be recorded in the medical records whenever a febrile child is examined. Together they provide an unbiased, objective indicator of the status of the child at the time of examination and a vital baseline for comparison if further assessment is required; changes may be the best indicator as to whether the child’s condition is improving or deteriorating. The regularity of recording each of these parameters in medical records could be the basis for clinical audits and evidence of improvements in clinical practice (see Audit points, below). Obtaining appropriate urine specimens from children is difficult and time-consuming. It is clear, however, that some UTIs go undiagnosed and also that inappropriate antibiotic treatment is given for suspected UTIs. Developing systems for routinely collecting and testing urine samples from children with unexplained fever may represent an improvement in clinical practice. Clinical audits relating to how often urine testing is performed and whether it is performed appropriately would be a means of monitoring such changes in practice (see Audit points below). to keep their child away from nursery or school while the child’s fever persists but to notify the school or nursery of the illness. www.nice.org.uk/guidance/QS64; NICE. Feverish illness in children: assessment and initial management in children younger than 5 years. Clinical Guideline 160. NICE, 2013. Available at: www.nice.org.uk/cg160 Reproduced with permission. NICE (2014). Feverish illness in children under 5 years. Quality Standard 64. Available at: www.nice.org.uk/guidance/QS64; NICE. 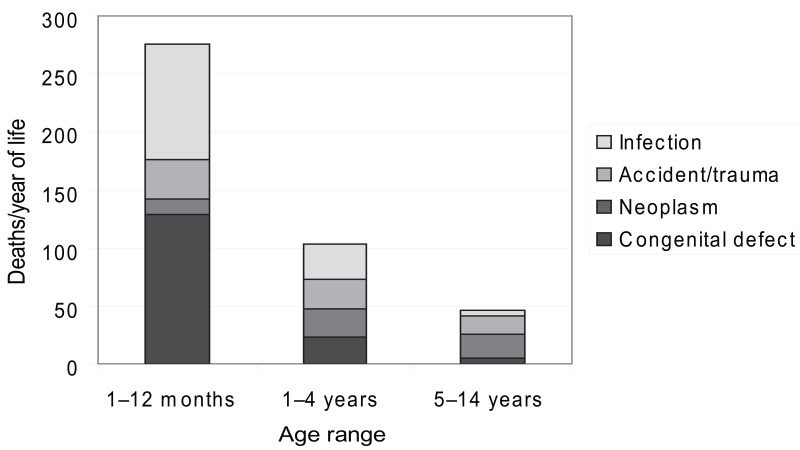 Feverish illness in children: assessment and initial management in children younger than 5 years. Clinical Guideline 160. NICE, 2013. Available at: www.nice.org.uk/cg160 Reproduced with permission. A safety net essentially involves providing adequate and appropriate information to parents and carers that will enable them to monitor their child and empower them to seek further help when this is indicated. Some information is generally applicable (e.g. the appearance of a non-blanching rash and how they can access healthcare at any given point). Other important information needs to be individual (e.g. the likely progress of a viral illness if this is the provisional diagnosis). Advice about when further assessment by a medical practitioner is required is difficult. I am concerned that if I say I should review a child in 48 hours, the parents/carers may not request medical help until that time, even if there is a significant deterioration in the child’s condition. Conversely, it is unnecessary to review children who have fully recovered. An increased level of parental concern is a better indicator of the need for, and timing of, further assessment. While there is no simple means of differentiating between minor infections and SBIs in their early stages, the hope and expectation is that by using the NICE guideline and quality standard it will be possible to better identify early those children at risk of serious illness. This should result in prompt and appropriate referral to specialist care for higher risk children, leading to earlier intervention and better outcomes. facilitate the best use of antibiotics in this age group to help avoid overprescription and its associated risks of contributing to bacterial resistance. Wang H, Liddell C, Coates M et al. Global, regional and national levels of neonatal, infant and under 5 mortality during 1990–2013: a systematic analysis for the Global Burden of Disease Study. Lancet 2014; 384 (9947): 957–979.